Cattle in Zimbabwe waiting to be weighed before the auction (photo credit: ICISAT/Swathi Sridharan). 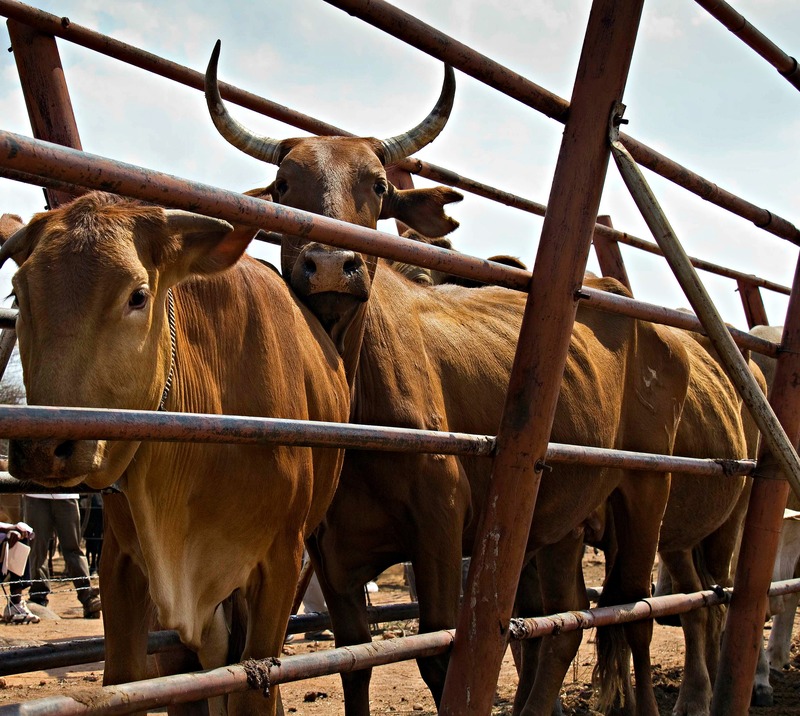 Rural farmers in Zimbabwe and the whole of Southern Africa are set to receive a major boost in their livestock production through the expected launch of the beef value chain finance initiative this year. ‘The initiative, whose pilot project was successfully undertaken in Swaziland, includes a loan scheme for smallholder farmers who want to take up beef fattening for the market. ‘This came out during the on-going International Conference on Livestock Value Chain and Access to Credit being held in Ezulwini, Swaziland. ‘The conference is being hosted by the International Livestock Research Institute (ILRI) in partnership with the Swaziland Water and Agricultural Development Enterprise (Swade) and the Micro Finance Unit, Swaziland (MFU). The beef value chain finance initiative would see farmers working as business entities, apply for loans from financial institutions, construct feed lots housing for at least 25 cattle and fatten these using locally available water sources to grow forage on two hectare plots for feeding the animals. Under the initiative, farmers can earn at least US$15 000 after a circle with the beasts going to the market at 15–18 months of age. ILRI regional representative for Southern Africa, Professor Sikhalazo Dube said the project is anchored on producing cheap but high quality feed for livestock production. “We are launching the project in Mozambique soon but other countries like Zimbabwe, Malawi, Botswana and Tanzania are clamouring for such initiatives. . . .
International Fund for Agricultural Development lead technical specialist Dr Antonio Rota said his organisation was ready to roll out the programme across Southern Africa. Dr Rota called farmers to come up with initiatives promoting the use of locally available resources for feedstock. “We are desperately looking for such initiatives and we can pay for these,” he said. . . .
Read the whole article in The Herald (Zimbabwe): Zim to benefit from livestock production, 23 Feb 2017. Republished on The Cattle Site on 24 Feb 2017. MD happy with women in feedlot project, Swazi Observer, 24 Feb 2017. Swazi beef model boats six registered feedlots, Swazi Observer, 21 Feb 2017. Tags: 2017 International Conference on Livestock Value Chain and Access to Credit, Beef, IFAD, MFU, microfinance, Sikhalazo Dube, SWADE, Swaziland. Bookmark the permalink.